Allow me to indulge in a hypothetical scenario for a while: there is a God. It doesn’t matter which God, so for argument’s sake let’s say he is Jehovah, Yahweh, the Holy Father - the God of the Bible and of the Christian faith. Of the hundreds of religions followed around the world, it just so happens that the Christians were right after all. God exists, and he is all-powerful and all-knowing. Therefore, he should be praised and worshipped and prayed to, for he made the Earth and everyone on it, so on and so forth. After all, according to Christians, all of the good in the world can be attributed to God, and the bad to the Devil. But why (still assuming God exists) should we believe this? How do we know that God hasn’t made up the whole story simply because he’s still not grasped how to make a world very well? Maybe the evils in our world are God’s fault entirely and he’s just making excuses. This may sound like a sarcastic joke, but I’m completely serious. What good reason do we have to believe God? For example, God may have entirely made up the Heaven and Hell scenario to get more followers. Maybe he gets satisfaction out of being praised all the time, or he gets the royalties on Christian rock albums. In reality, maybe there is no Heaven and Hell, it’s just something God made up to convince people to believe in him. Let’s take another example, disease. God says that disease is rife because Adam and Eve annoyed him by eating an apple he arbitrarily decided was off-limits. Could that not be an excuse to cover up the fact that he simply has no idea how to cure cancer? My point is that if God is indeed real, the Bible could well be the greatest lie ever told. We know so little about God due to the fact that he is far removed from our own points of reference, that we couldn’t possibly rule out any single motivation that God may have. 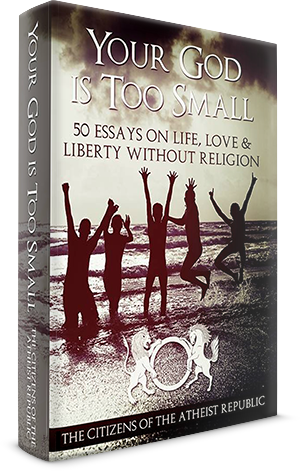 There is effectively an infinite number of reasons as to why God decided to self-publish his own biography, and to spread his message of love to his children is just one. Let me offer another. Maybe there are two Gods who had a bit of a falling out. Both are all-knowing, but one is much more powerful than the other… let’s call that one Keith. So, Keith goes around the Universe making and populating planets with new species to conduct experiments on. One day he has an argument with the other God - let’s call him Hamish. Keith gets annoyed and so goes off in a huff to make some more planets, leaving Hamish next to one particular planet he’s just made. Well, to spite Keith, Hamish decides to wreak havoc on this planet, causing all sorts of trouble for the species living there, killing off huge numbers of them and generally being pretty horrible. He also decides that it would be hilarious to make a book telling people to worship him, despite the terrible things he has done. Hamish is into black comedy, and finds this to be the ultimate irony. If you haven’t already guessed, that planet is Earth, and that scenario is one of many I can think of right off the top of my head. Again, as jovial as this may sound, my point stands. If you worship a God, please seriously consider this. How do you know that your God isn’t a liar? “Because he is good” is insufficient - after all, who told you that but God himself!? 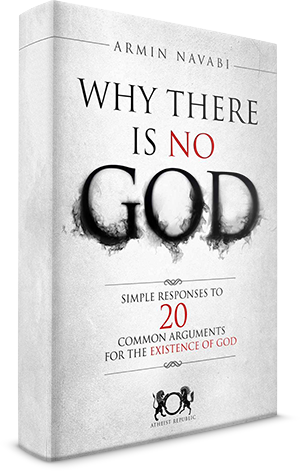 The only glimpse of the realm that so transcends our puny human brains is a book written by God himself. Let me stress - the only information we have to go on about God was told to us by God himself. That being the case, there is literally no distinction or way of knowing if when God says “I love you” he actually means “I love you” or “I hate you, but needs you to believe it’s “I love you” so you won’t object when he pitches you in an all-out war with Odin for his own personal amusement… like chess for popular deities. There is not a single reason any religious person I know has given me that would give me any reason to believe that God is telling the truth. “Because the Bible says so?” No. “Because he just wouldn’t?” Definitely not. God is beyond us. He is abstract. How can you possibly begin to comprehend a being that has always been and always will be? How do you envisage an invisible force that is literally everywhere in the Universe? How can you understand anything about how an all-powerful and all-knowing being operates and thinks? The concept of God is so alien to our own brains, with non-figurative terms like omnipotent and omniscient being thrown around, that we cannot grasp how it/he/she functions. Thus, as far as we are concerned, there is just as much chance that God is telling the truth as there is that he is lying. I shall return to reality at this point. I do not believe that there is a God at all. The Bible is, as far as I’m concerned, the greatest lie ever told. But not by God, no - by the desert-dwelling nomads who invented this storybook - and that goes for other religious texts too. Though I may be somewhat cynical towards the topic, I feel that my point is a pretty major one to consider. If you do conform to one of the major religions of the modern world, please consider my point. How can we know if God is telling us the truth?